A research unit of DeustoTech (Faculty of Engineering of the University of Deusto). The research is focused on energy related workplans with a strong focus on energy efficiency and environmental protection. Independent international consulting firm founded in 1986, Zabala Innovation Consulting is a leader in Spain in Innovation Management. Zamudio is a town and municipality located in the province of Biscay, in the Autonomous Community of Basque Country. Cluster Association of Environmental Industries in the Basque Autonomous Community. The benchmark in the Basque eco-industry. Green Technologies is dinamically taking action in the field of studies and constructions aiming at offering completed services and turn-key solutions in the sector of environmental and natural resources administration and in the structural sector. EnBio´s main activities are in the commercialization of innovative environmental technologies and products emerging mainly from the research carried out in the laboratories of its main founders in the Department of Chemical Engineering at the University of Patras and National Technical University of Athens. The National Technical University (NTUA) is the oldest and most prestigious educational institution of Greece in the field of technology, and has contributed unceasingly to the country’s scientific, technical and economic development since its foundation in 1836. The University presently stands well ahead of its original goal, which was to set “a firm model of an Academic institution providing Greece with a highly qualified Alumnae contributing to the society’s development and growth”. Chalandri is a suburb in Northern Athens, around 12 kilometres from the centre; its location corresponds with one of the 10 ancient demes (boroughs) of Athens, known as Phlya (Greek: Φλύα). 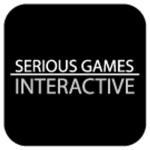 Serious Games Interactive is an award-winning, research-based developer of games, simulations, and virtual worlds. ARS ambiente Srl is an environmental consultancy, helping its customers to target main environmental issues, with a particular focus on municipal and industrial waste. Seveso is a town situated 21 kilometres to the north of Milan in the Brianza lowlands. The territory of the commume is highly urbanised, with the majority of inhabitants living in the town. Legambiente is a non-profit association born in 1980. The mission of the association is to make the environmental culture the centre of a new kind of development and diffused well-being. Data of the integrated cycle waste management: solutions, comprehensive management products and advisory services. Their know-how and years of experience in automation technology, distinguish them globally as recognized by experts in the development and production of machine control systems, identification, mobile weighing technology, and flexible software solutions. For the Municipality of Cascais, the provision of services in the area of urban sanitation and proper waste management is critical to achieving sustainable development and ensuring the well-being and quality of life of citizens. BCNecologia (the Urban Ecology Agency of Barcelona) is a public consortium consisting of the City Council of Barcelona, the Municipal Council and Metropolitan Area of Barcelona and the Barcelona Provincial Council. Virtualware is an innovative and technological Company that specialize in the development of Hardware and Software solutions based on Immersive and Interactive technologies. We offer high-tech value-added solutions, products and services through our offices in the United Kingdom, Spain and Latin America as well as through our partners around the world. Founded in Padua on 6th June 1980, Engineering is the leading Italian software and services company, with 8,100 employees and 40 branches in Italy and overseas. Engineering plays a leading role in ICT research, coordinating several national and international projects via open collaboration with companies, universities and research centers, both nationally and internationally.